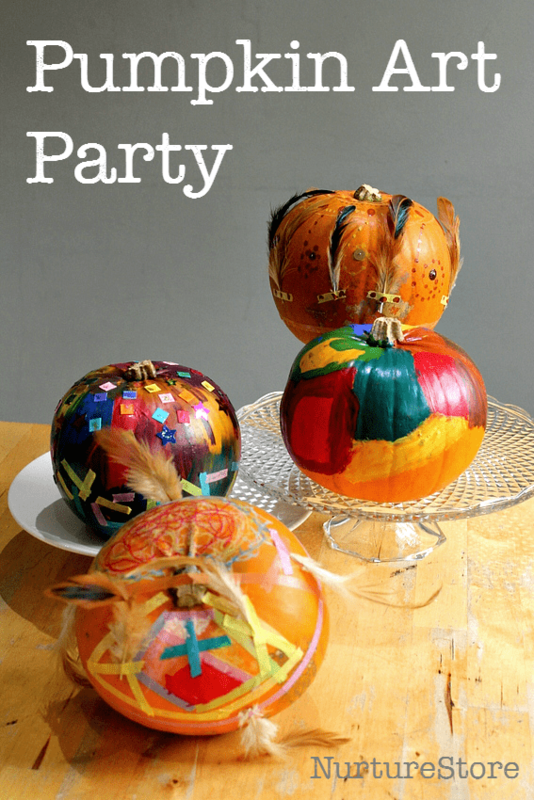 For an alternative to a traditional Halloween party, try a pumpkin decorating art party! 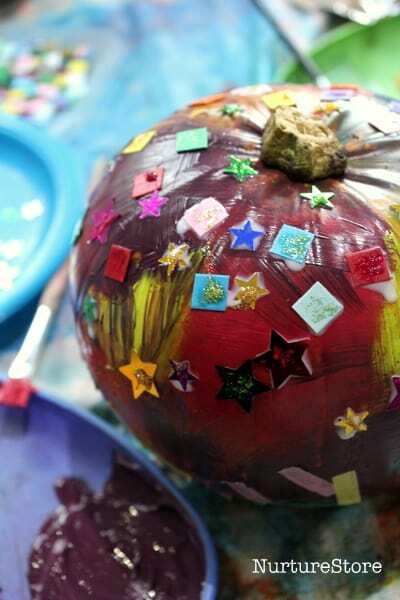 Every artist had two pumpkins, which frees them to try more than one design. 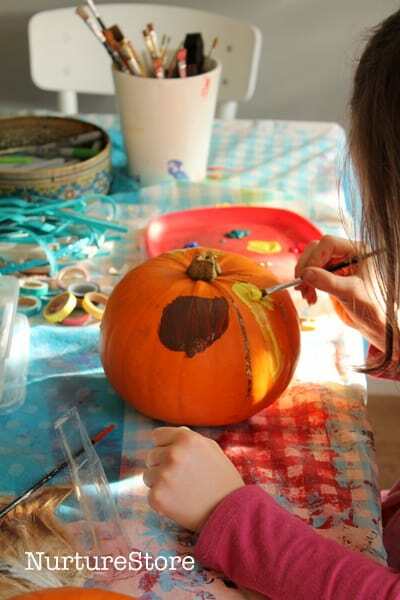 No pressure to make your pumpkin ‘prefect’ as you have a second one too, so everyone can experiment freely and enjoy the materials on offer. 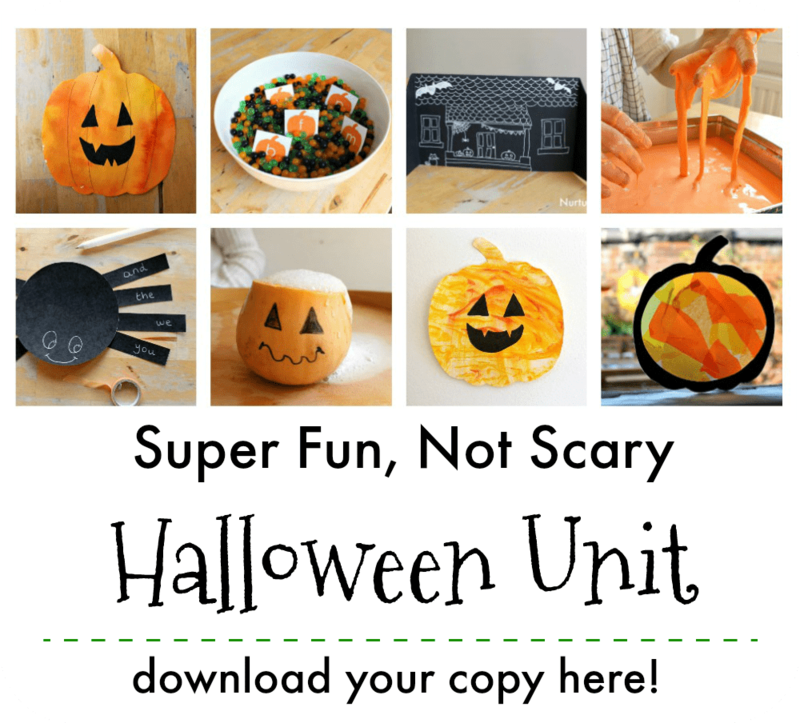 You might like to make a matching pair, or challenge yourself to make your pumpkins as different from each other as you can. 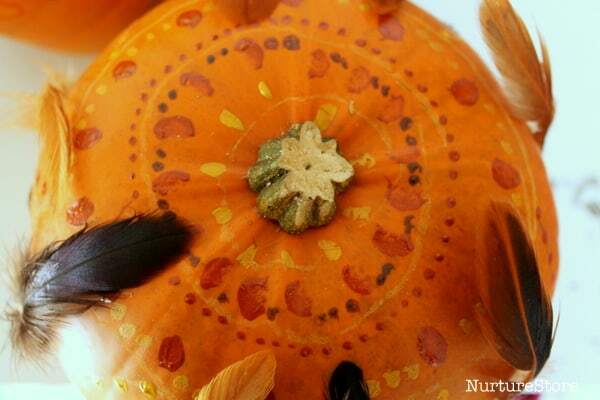 Permanent Sharpie markers work well, as do tiny dots of paint laid out in a pattern. We fastened feathers on with washi tape, and used dressmaking pins to poke in sequins and beads. 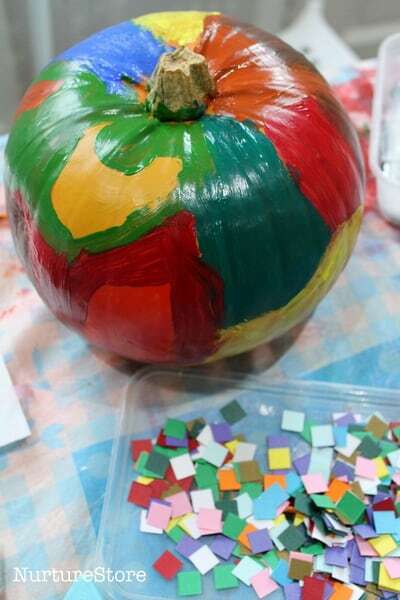 We loved layering on the different materials to make flamboyant pumpkins. PVA / craft glue worked well to stick embellishments on top of the dried paint. 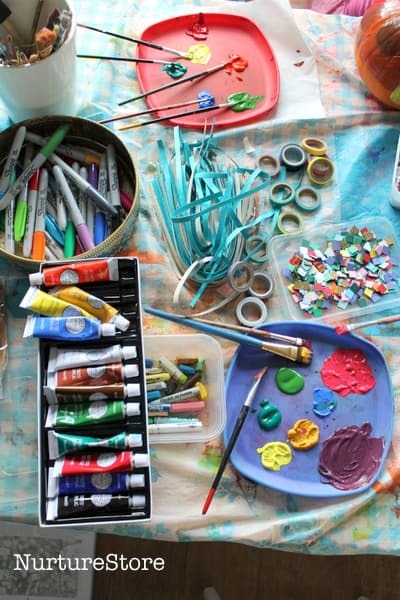 I love the effect achieved when different colours of paint are mixed and overlaid on each other. 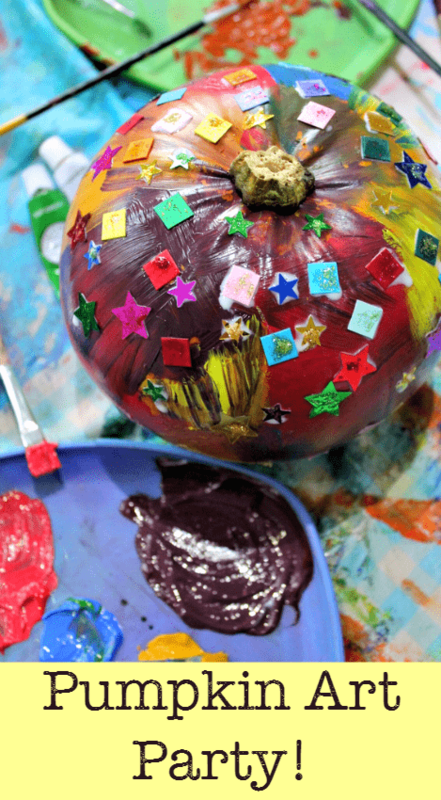 We listened to some Celtic Samhain music as we painted, and the lyrics inspired some of the pumpkin art, as the children divided their pumpkins into quarters to paint a design for each season. And we used this lovely spiced apple cider recipe to make refreshments. Ta-da! Aren’t they gorgeous? Each one created from the same selection of materials, each one unique. I love them display on cake stands but we might also place them on the porch or in a line ascending the stairs.